Watch Latest Make Up Style by Linh Chi Beauty Academy! Experienced make up artists from Linh Chi Beauty Academy will headline the Linh Chi Make Up Show on the 1st day of Cosmobeauté Vietnam 2013, presenting a wide variety of make up skills to wow the visitors! Models will be flaunting off the stage wearing breath-taking makeup and body painting done by professional team of makeup artists pairing with great hairdos all completed by members of Linh Chi Beauty Academy. Appearance of models will definitely wow visitors with unexpected look. 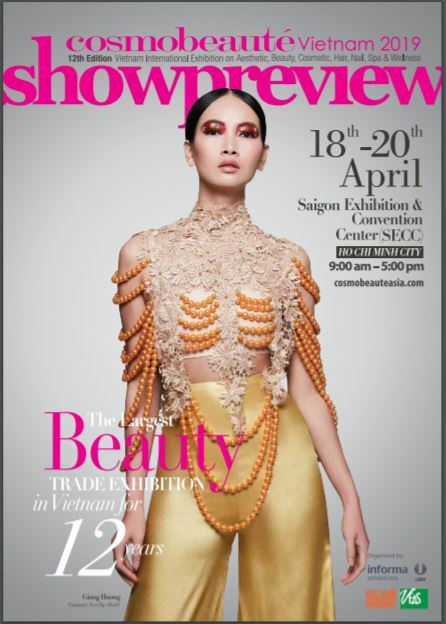 Look forward to explore more creativity from the Linh Chi team when they wrap up Cosmobeauté Vietnam 2013 with their amazing performance on 13 April 2013!